Everything Not Saved at Incoming Festival! We had a lot of fun at Incoming Festival last year so we are delighted to be heading back this year with Everything Not Saved! We will perform in London’s New Diorama Theatre on 24th June and at HOME Manchester on 26th June. Plus all tickets are only £5! Everything Not Saved in Paris // As part of our prize for winning the Romilly Walton-Masters award for Experimental Performance, we will be performing Everything Not Saved at the Centre Culturel Irlandais on 28th February and 1st March! Book here. JERICHO, our play about pro-wrestling and big questions, is going to London! Catch it at VAULT Festival from 6th-10th February 2019. MALAPROP is going to CHINA! Now that flights are booked, visas are cleared and bags are nearly packed, we are delighted to announce that next week we will be bringing LOVE+ to Inside-Out Theatre in Beijing. We are Extremely Excited (and very grateful to Culture Ireland for their help in making this possible). Inside-Out theatre is Beijing’s only independent theatre, and it will be the biggest space we have ever played in. LOVE+ will be shown as part of their 2018 Art and Tech Festival, with performances from 17th-21st October 2018. We had a whale of a time on our first Edinburgh Fringe adventure, and this year we are back for more! That's right, after the success of our double-bill of LOVE+ and BlackCatfishMusketeer, we return to Edinburgh with two different shows: Everything Not Saved, our Dublin Fringe 2017 smash-hit, and Jericho, our show about wrestling and big questions. Everything Not Saved will run at Summerhall's Old Lab from 1st-26th August 2018, and Jericho will play at Underbelly Belly Button (Cowgate) from 15th-26th August. If you missed these shows in Dublin last year then now is your chance to catch them (and 3,000 other shows on in Edinburgh Fringe!). We are delighted to announce that our Fringe hit LOVE+ has been included in this year's Incoming Festival, a celebration of the best in emerging theatre from across the UK and Ireland. This year for the first time the festival programme will span two cities, London and Manchester. LOVE+ will play at both New Diorama Theatre, London (29th June) and HOME, Manchester (30th June). The best part is that, to encourage new audiences, all festival tickets are just £5! 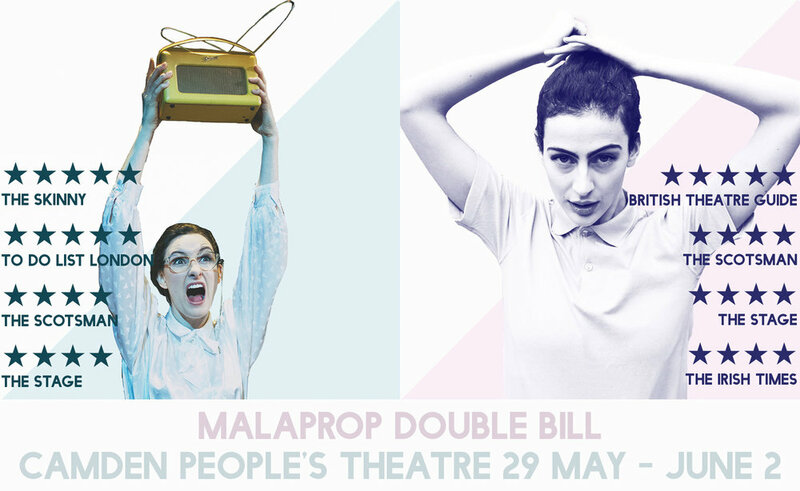 After a whirlwind run at Summerhall, we're delighted to bring our Edinburgh Fringe double-bill to Camden People's Theatre this summer. Catch LOVE+ and BlackCatfishMusketeer back to back from 29th May to 2nd June - you can see the two shows in one night for £20! Earlybird tickets are also available at £7.50 until 16th February.